Asterix at the Olympic Games 1hr. 56min. 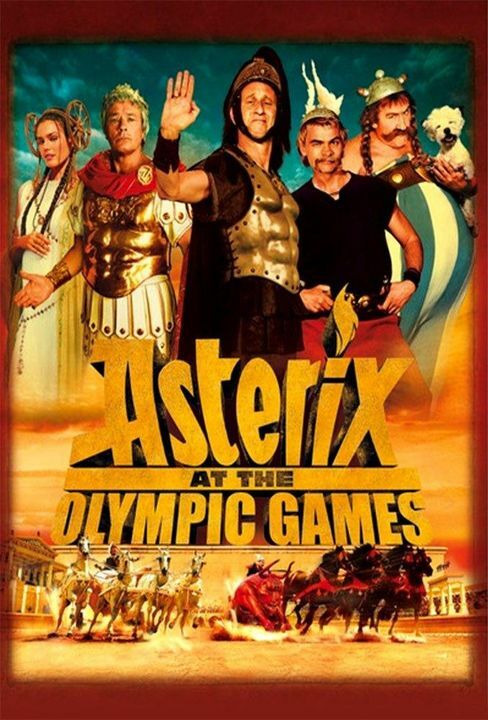 AstÃ©rix and ObÃ©lix have to win the Olympic Games in order to help their friend Alafolix marry Princess Irina (portrayed by supermodel Vanessa Hessler). Brutus (BenoÃ®t Poelvoorde) uses every trick in the book to have his own team win the game, and get rid of his father Julius Caesar (Alain Delon) in the process.